When you started your in-home small business, you probably had big dreams and plans, and now that your business has taken off it’s time to turn those dreams into reality. Taking your business to the next level is an exciting move, especially for an entrepreneur who has been behind the scenes since day one. It’s time to put on your big girl pants and go out there and rock it! 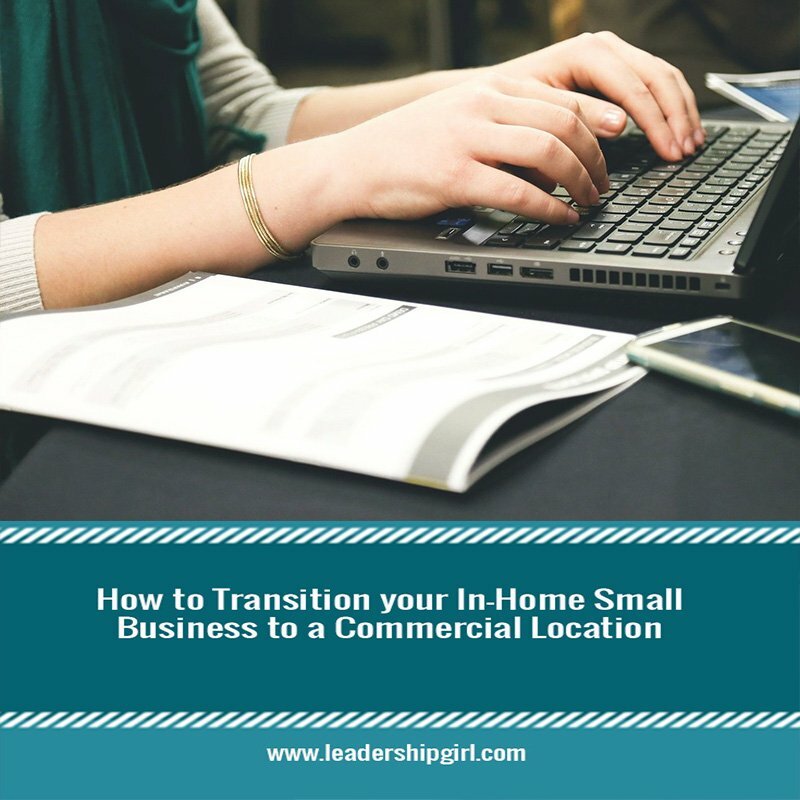 Here are some things to keep in mind as you plan to upgrade your at-home business to a commercial location. As a small business owner, chances are your pool of customers were initially drawn to your not-so-corporate business venture. They likely felt they could trust you and would receive a product or service that someone had poured their heart into. But as your business grows, your customers might change, and your business model might need adjusting to keep up with your growth. Dig deep and ask yourself a few questions about your customers’ needs and wants as you prepare to expand. Do your customers need something that you aren’t able to offer? Are you able to give them quality attention, or do you need to expand your staffing? Your business will grow and your competition will too, so it’s important to be sure you are still able to give your customers the best of the best. Female entrepreneurs face more obstacles than men do in the business world, but hold your ground and find solace in the girl bosses around you. Navigating a big business move can be intimidating, but women before you have done it and women after you will too. Find a mentor that can guide you and offer their insight on expanding a business. They know the struggles you may face as a small-business owner and female entrepreneur. Don’t think you have to have it all figured out on your own! Opening up to let other people help you will only help your business. Your business is totally your baby, but you can still benefit from having a new perspective. Before solidifying a commercial location, do a little shopping around and consider how your location may impact your business. Where are some of your biggest competitors located? Moving too close to competitors who have already established a store front location may hurt your business. You should also keep in mind the location of the majority of your customers. If your customers tend to live within a certain city, moving out too far into the suburbs may hinder them from continuing with your business. Moving close by your main customers, however, could increase the business they do with you and lead to similar new customers in that area. When it comes to your location, also be sure to find a space where you feel safe. If you’re restocking or doing inventory late at night, you want to know that you are in a safe area and in a secure building. Your new space for your business should reflect your mission and appeal to your target market. When people walk into your business, they should feel empowered and excited. Think about what your brand would look like on a larger scale and play around with the design and functionality of your location. This is the fun part! As you begin to map out a layout and plan for decorating, consider whether your choices will be sustainable for the first couple of years. Invest in options that will aid in both the function and aesthetic of your business and that will be on the forefront of style. Really know your brand – and capture that even through the tiniest of details. Is it important that your customers see a woman as the face of the company? Do you want them to see themselves in your entrepreneurial, go-getter attitude? Think about what inspired you to start your business and turn it into a bigger project and let that paint the backdrop. Your story is what inspired you, and your customers were drawn to that! As a small-business owner, you already know how crucial budgeting can be. Expanding your business to a commercial location is a big move, but you want to do it the right way. While blowing money for your dream space could pay off if business is good, you should still air on the side of caution going into your first year in a commercial location and save money where you can. Evaluate the size space that you need to make sure you can function efficiently. Will you need lots of storage? Do you want a clean, minimalistic look? As you start browsing for locations to move to, map out all equipment needs you have to make sure your space will fit just right. Solidifying a short-term lease is also a business savvy budget move since you can’t fully predict your success in your first year. Instead of signing a 12-month lease, negotiate shorter terms that way if the location isn’t a good fit or business isn’t booming, you won’t be strapped into something you can’t fulfill. Same goes for utilities! Avoid long-term contracts as you search for and compare utility costs. Once you’ve solidified the logistics, make sure everyone knows that you are moving on to bigger and better places. Your customers have found trust in your product and they should be the first to know where you are heading so they can continue to support your business! Give everyone proper notice that you are moving so they aren’t caught off guard. Before settling into your shiny new location, make sure to update your address with all necessary vendors. Get in touch with your local government to find out what they need from you to work out any kinks. You’ve got this, girl! You have worked hard to get your business up and running, and it is exciting to watch your baby turn into something for more people to appreciate. 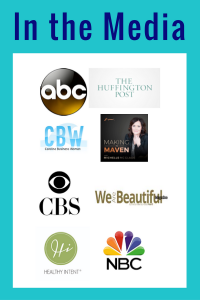 Upgrade your biz and keep watching as it soars! Next: Next post: Are Boy Scouts Better Than Girl Scouts?